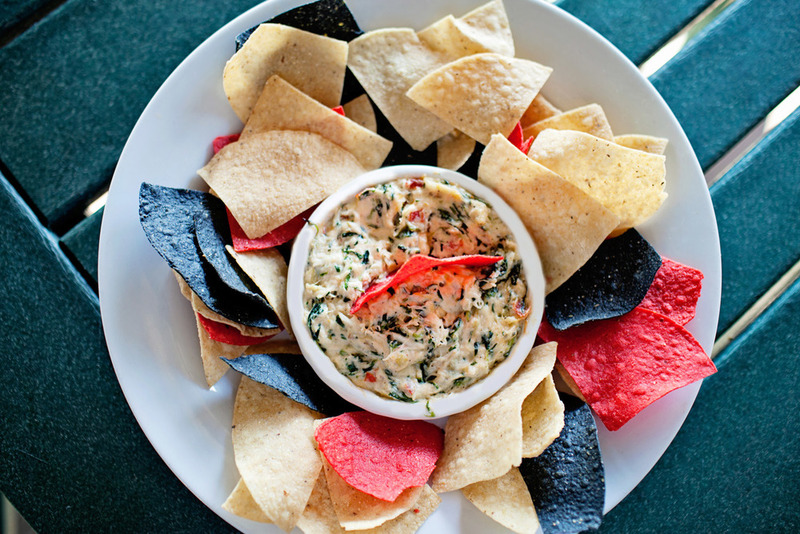 Lump crab meat, spinach, artichoke, with corn tortilla chips. 1.25 lbs. 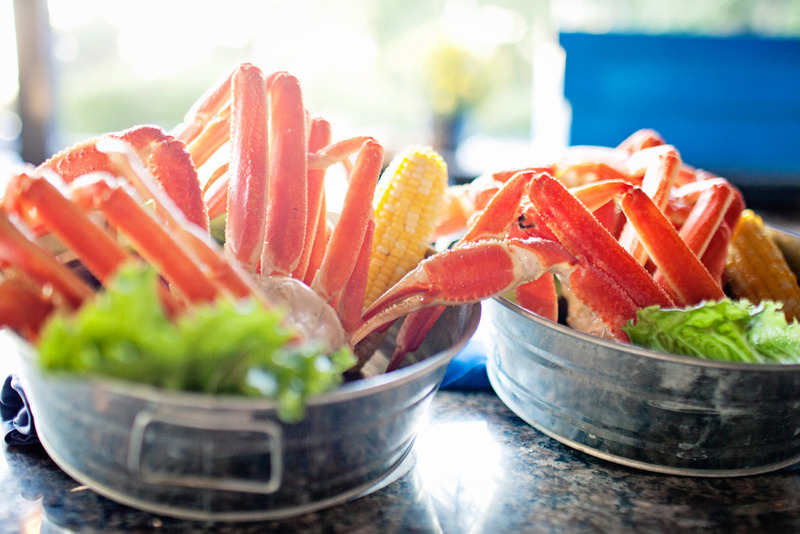 of the largest snow crab legs we could find.